Recently we talked about reversing hair loss with the right amino acid. 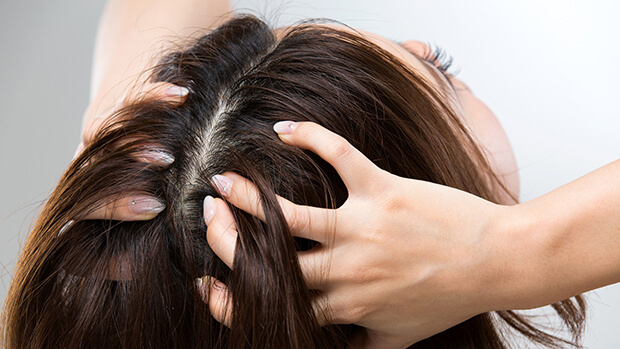 Without the protein building block of l-cysteine, the hair cortex becomes too weak to function properly. So you start to lose your hair. Many people become deficient in l-cysteine as they age, and they assume that the hair loss that accompanies this deficiency is inevitable. Fortunately, it's not! L-cysteine supplementation can help reverse it. But it's not the only nutrient you need if you want your hair to look its best. One of the reasons the hair needs l-cysteine to function is that this amino acid holds together the keratin molecules that make up the hair cortex. Without l-cysteine, the proper bonds can't form. But what if you don't have enough keratin in the first place? Once again, your hair health will be in trouble. To produce keratin, your body needs a B vitamin called biotin. Thanks to its key role in the keratin production process, it also helps keep your hair follicles strong and healthy. But once again, it's possible to become deficient in this nutrient. Some people end up with a biotin deficiency because they're eating raw eggs. A protein found in eggs called avidin binds to biotin and prevents the body from using it. Cooking eggs destroys this protein - yet another reason to step away from the raw cookie dough. But even if you're vigilant about cooking your eggs, you can also end up with a biotin deficiency due to anticonvulsant medications, alcoholism, pregnancy, digestive issues, or other medications, like isotretinoin or antibiotics. Research published in the journal Skin Appendage Disorders confirmed that in 18 cases of biotin supplementation, the participants' hair growth improved. And that's not all. It also helped strengthen their nails. This makes sense, as your nails are also made of keratin. So taking biotin to help your hair can give you an extra beauty boost in the nail department too. If you've started to notice that you're losing your hair, you probably have an l-cysteine deficiency and/or a biotin deficiency. So you have a few options. You can go down to the health food store and get an l-cysteine supplement and see if it works. You can do the same with a biotin supplement. Or you can tackle both possibilities at once with Healthy Hair & Nails. It contains both l-cysteine and biotin to give your hair all the nutrients it needs to grow strong and healthy. Plus, it contains other vitamins and minerals shown to help boost hair and nail health. I know you spend time making your skin look its best - don't let lackluster hair and nails distract from your beautiful complexion! Patel DP, Swink SM, et al. A Review of the Use of Biotin for Hair Loss. Skin Appendage Disord. 2017 Aug;3(3):166-169.